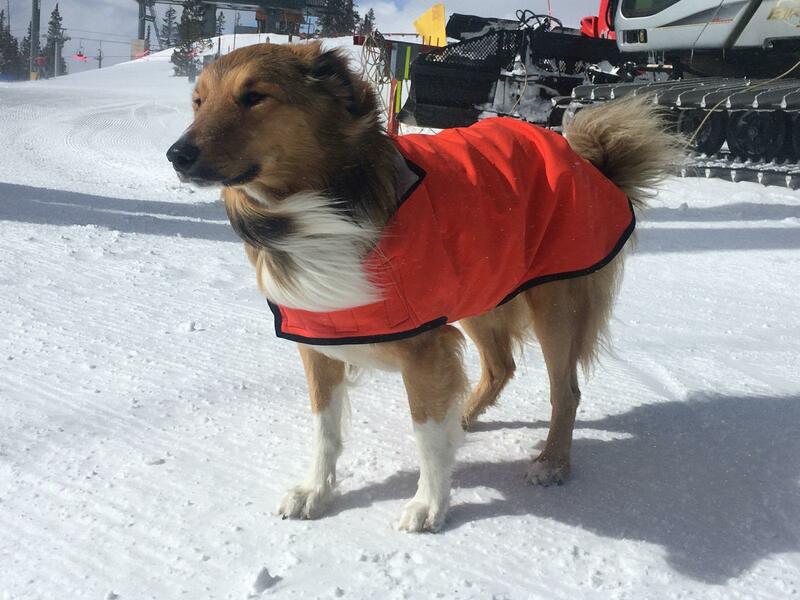 The Powershield Coat is our most functional winter dog coat. 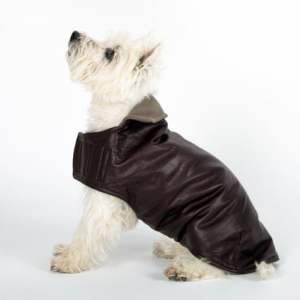 It is a made from a top of the line softshell outerwear fabric. Powershield is engineered to be extremely efficient in regulating body temperature. 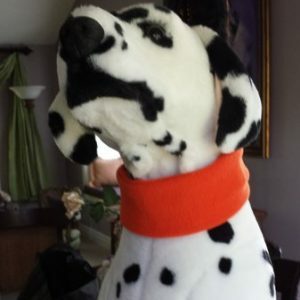 It’s designed to help the dog’s core temperature remain stable during periods of high activity. The fabric has cells which expand and contract depending on the amount of heat generated. Powershield is very water resistant; water beads off its surface. 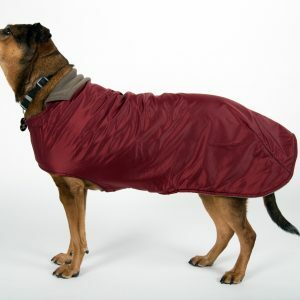 Powershield is a two-sided fabric with an abrasion resistant exterior and a fluffy fleece interior. Worn and enjoyed by athletes everywhere. 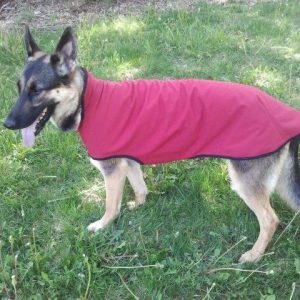 Helps prevent your dog from overheating or getting too cold. Water beads off the surface. Amazing to watch. Abrasion resistant exterior means the coat is less likely to catch on branches or scrub out in the woods. Fashion Alert: The new Burnt Sienna fabric is selling very well. It’s the hot color this season and simply gorgeous (think cayenne).